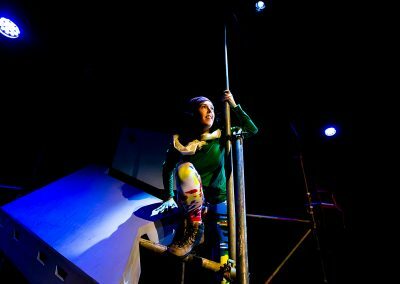 Handstand Productions is a theatre company that tours plays written and produced by Jan Bolwell. 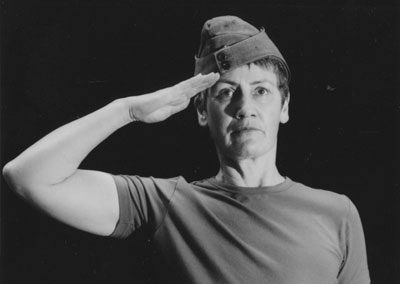 To date five of her plays have toured extensively throughout New Zealand. 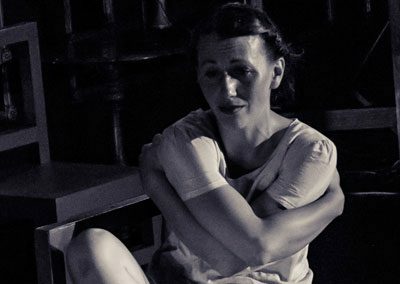 ‘Standing on my Hands‘ is a solo play that tells the story of her father’s adventures as an escaped prisoner of war during WW2. 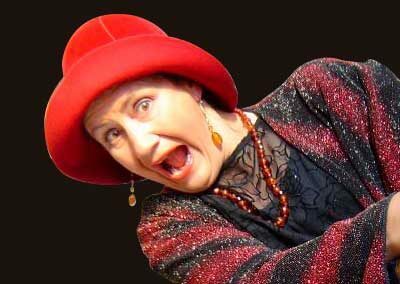 ‘Here’s Hilda‘ , also a solo play, dramatises the life of her larger than life grandmother, Hilda Gardiner. ‘Double Portrait‘ , a three hander, pays tribute to the life of New Zealand’s most famous ex-patriate artist, Frances Hodgkins. 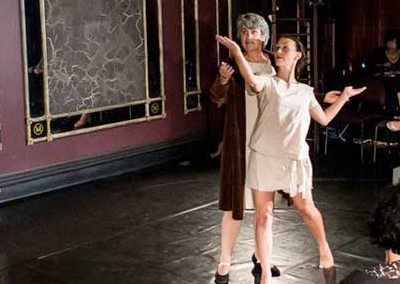 ‘Dancing in the Wake‘ , also a three hander, is based on the life of Lucia Joyce, daughter of the renowned Irish writer, James Joyce. 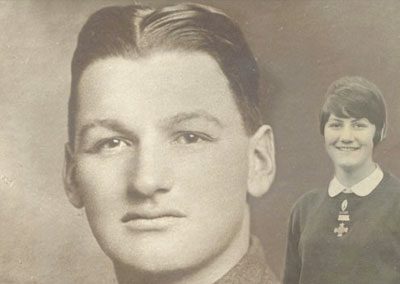 ‘Bill Massey’s Tourists‘, solo play, which toured from 2014-2018, tells the story of her grandfather’s experiences on the western front in WW1. 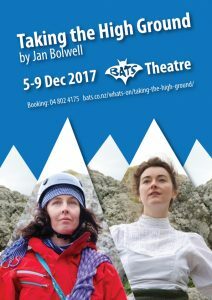 ‘Taking the High Ground’ Jan’s latest play, is a four hander that tells the contrasting stories of Freda du Faur, the first woman to scale Aoraki/Mount Cook in Aotearoa/New Zealand and Lydia Bradey, the first women to scale Mount Everest solo and without the aid of oxygen. 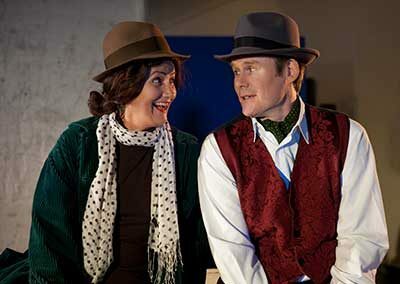 The play was premiered at Bats Theatre, Wellington December 2017. Technician Neal Barber's first purchase on tour, just in case we are in unheated theatres. Then we have the after show garb. Don't be fooled by the glass of milk. He has already had a few wines! Jan Bolwell will be interviewed about Bill Massey's Tourists this Friday at 1.40pm by Eva Radich on Radio New Zealand's Concert programme. In two weeks time I will be on the road with Bill Massey's Tourists as part of the Arts on Tour New Zealand programme.